Rhododendron impeditum (Rhododendron impeditum): growing, planting, caring. 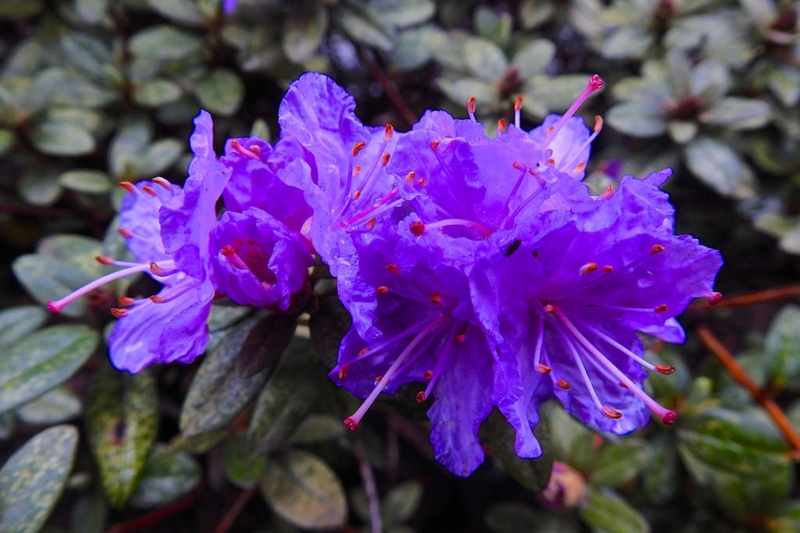 Full description for Rhododendron impeditum not yet available. Prune young plants to favor a well-branched form: the first two or three years, in April or May, pinch the tips of new shoots over a leaf; you will eventually renew the operation in the summer. You will have a less abundant flowering these years, but you will guarantee years well flowered beyond! To prolong the flowering, you can cut the faded flowers while taking care not to touch the buds: they will produce the flowering of the following year! Take this opportunity to remove dead wood and damaged or misplaced branches.